Andrew's practice focuses on varied issues in executive compensation and employee benefits, including non-qualified deferred compensation plans, tax-qualified retirement plans, equity incentive plans and executive employment agreements. 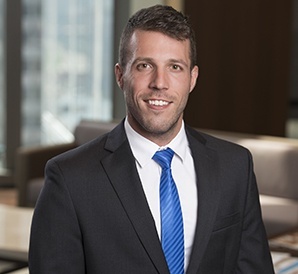 He joined Barack Ferrazzano as an associate in the Litigation Group, and draws on a breadth of experience as a former litigator and federal law clerk when counseling our clients. Among other engagements, Andrew was part of the Firm’s team that won a full defense verdict in an employment retaliation arbitration seeking over $2 million in damages, and prior to joining the Firm he represented plaintiffs and labor unions in wage and hour, ADA, ERISA and labor law matters. McLaughlin Holding Company Acquires Gateway Banc Corp. Represented Gateway Banc Corp. in connection with its definitive merger agreement with McLaughlin Holding Company. McLaughlin Holding Co. Announces Acquisition of Gateway Banc Corp.